There are no comments for American Fox. Click here to post the first comment. 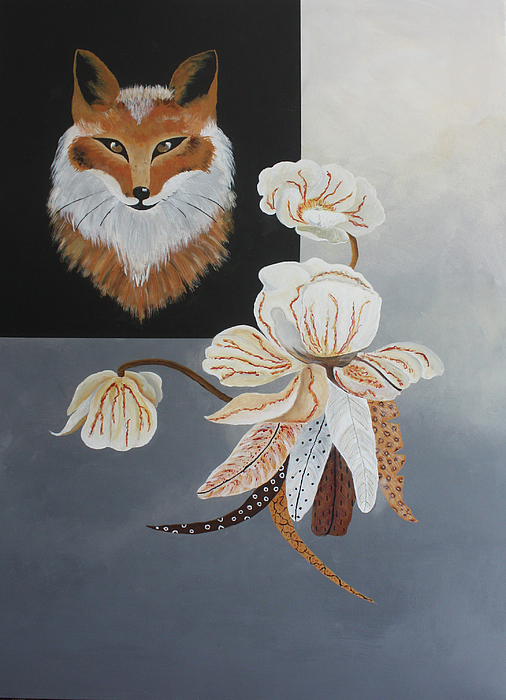 A contemporary rendition of the American Fox with feathers, and dried flowers in colors of black, white, grey, rust, and gold. I am an architectural designer, licensed in design, and have been in this field for many years doing residential and commercial design work for new and restoration projects. My education was at Woodbury University, Los Angeles, CA. I have taught at several location on the west coast. 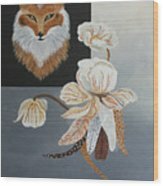 In addition to the architectural work, I have a handpainted needlepoint canvas business which has brought me recognition at the White House and the New York Times. I have recently combined the industries of needlework and jewelry creating needlepoint/jewelry beading for necklaces. 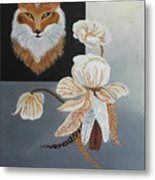 In 2009 I discovered the world of fine art through acrylic paint on canvas, photography, and colored pencils.